Hotels and Bed and Breakfasts are nice, but sometimes you want the room, freedom and amenities that a vacation home provides. 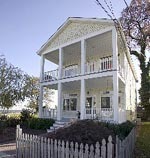 We are happy to provide a selection of Chesapeake Bay region homes available as vacation rentals. A vacation rental house may be the perfect option for family gatherings, reunions, or just a quiet getaway. Take a look at the different options available. Some are large, with lots of bedrooms, and well-suited to large gatherings. Others are cozy cottages, best for couples or small families. Many of the vacation rentals available are waterfront, while others have convenient downtown locations. We’ve listed a lot of properties here, but there are still more available. If you don’t see what you’re looking for on our list, check the complete vacation rental listings at TripAdvisor , Home Away and VacationHomeRentals.com . You’re sure to find something that suits your needs. If prices are a little too high for your budget, consider scheduling your vacation off the peak season. Spring and fall are beautiful times of year in the Chesapeake Bay region and some of the home owners offer lower rates outside the summer season. This one bedroom cottage is located within walking distance of the stadium and 1 1/2 miles from City Dock. Located ten minutes from Cambridge. This waterfront home has a dock, sandy beach, and heated swimming pool. The interior is modern and roomy, with a large eat-in kitchen. This is a large house, with six bedrooms and five baths. Sleeps sixteen. Canoe and kayaks are available for your use. More Information. Newly renovated home in the historic district. Located across the street from the beach and two blocks from downtown shops and restaurants. This is a three story home with wrap-around porches. Bay views from almost every room. Four bedroom and three baths. Large kitchen. More info. This condo is located in the Bay Creek Resort, where there are two signature golf courses, a private beach, swimming pools, a marina, and dining. Three bedroom and two baths. More info. Luxury waterfront condo with great views. Close to pool. Deck and screened porch. Located in a family-friendly condo development. This home sits right out on the edge of the water. Great views from the second story deck. Three bedrooms, one full bath. Unobstructed views of the Chesapeake Bay. Two bedrooms, 2.5 baths. Located just steps away from the boardwalk. Porches on two levels. 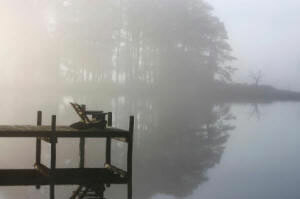 Get away from it all on Henry’s Island, offering alluring privacy and breathtaking views of the Chesapeake Bay. Four bedrooms, four baths. Private sandy beach. Waterfront home on the Rappahannock River with boating, crabbing, fishing, beautiful sunsets, bird watching. Large house with five bedrooms, 2.5 baths. 100 foot dock. Two kayaks. Outside shower. Here’s a unique vacation rental property! The Cove Point Lighthouse Keeper’s Cottage is listed on the National Register of Historic Places and is managed by the Calvert Marine Museum. The cottage sits on a seven acre point of land adjacent to the active Cove Point Light. The cottage is a duplex with a total of six bedrooms and 4.5 baths. Renovated for modern comfort with custom kitchens, central heat and a/c, screened porch, and washers and dryers. More info. A waterfront home on the Potomac River with private dock and sandy beach. Three bedrooms and 2 baths. Large deck to enjoy the views. This home is well-equipped, with a gourmet kitchen, washer and dryer, BBQ, and a 2 person kayak. More info. Views of Knapps Narrows and Chesapeake Bay. Just steps away from the marina. Three bedrooms, two and a half baths. Three bedrooms, two baths. Located across from the marina. Eat-in kitchen, four-season porch, and living room.